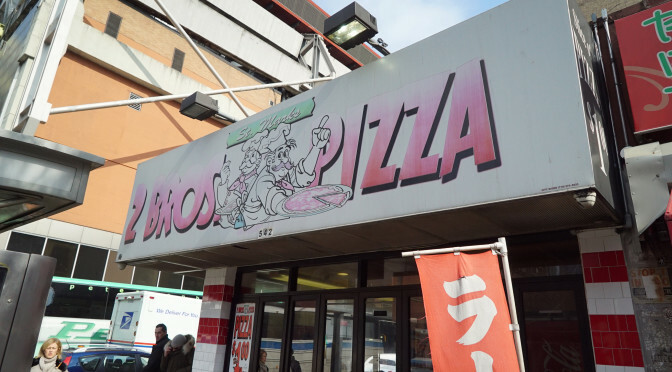 Two Bros. Pizza is a chain category three pizza joint (dollar slices) that has locations all over Manhattan. 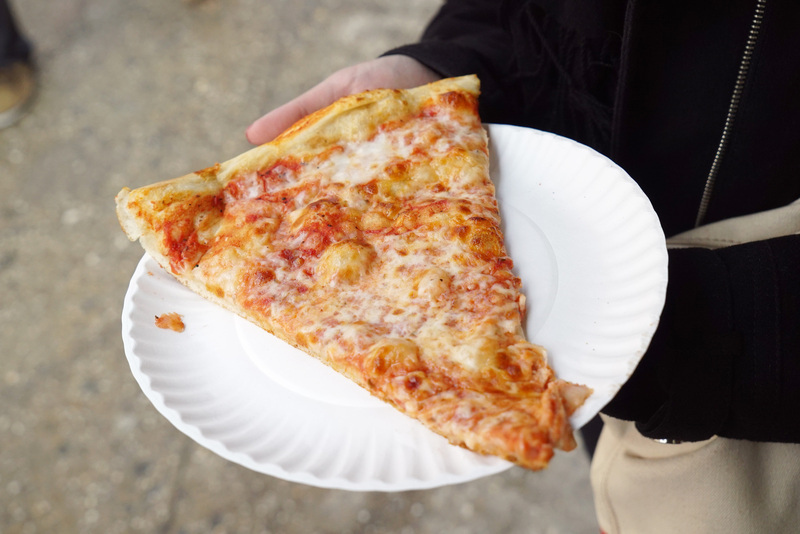 I recently stopped into the one on 9th Avenue & 40th Street and I was pretty amazed at how good it was for a buck. It was a little thicker in the crust department than I usually like, and not as crisp, but this was a fresh-out-of-the-oven slice, so that might be why. It was the right amount of doughy, it had a good sauce-to-cheese ratio, and it packed good flavor. Definitely stop in.